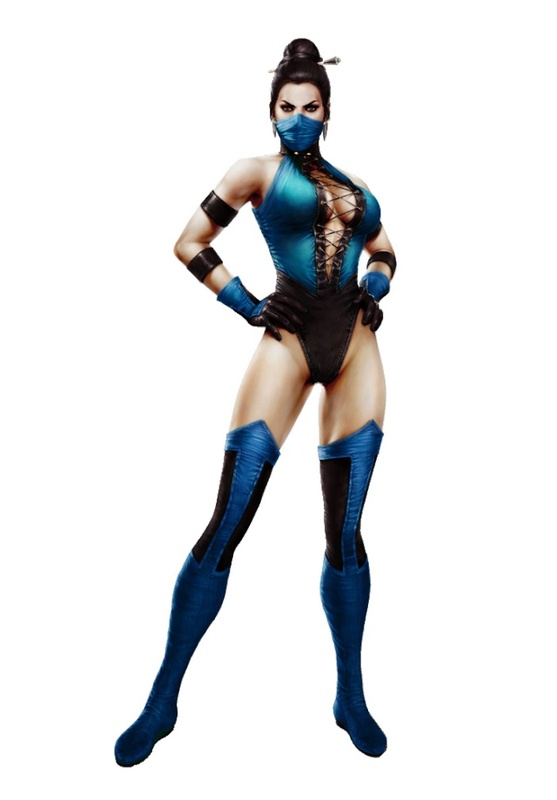 Appearance: Kitana is a young woman of average height. She shares a lot of similarities with her sister, Mileena, only, her hair is dark brown, like her eyes. She also differs Mileena for wearing blue, opposite to Mileena's often pink outfits. Personality: Kitana is full of womanly charms and at the very first glance, she will look like the girl every guy falls in love with. She will stand behind her boyfriend and support him in every way she can. Kitana will never try to dominate her boyfriend. Rather she will like it if you do the usual gallant gestures, like holding the door for her. She wants her man to love her, protect her and take good care of her. She will lean on him completely, showing full confidence in his strength and abilities. She is totally feminine, in all the seasons and at all the places. Kitana nags just like all the other women and she has a bad temper too. In her fury, she can turn bitterly sarcastic. The consolation here is that she is gentle for more periods, than she is nudging and prodding. Kitana is very shy, emotional and vulnerable. To protect her susceptibility, she often wears a cloak of wittiness, frigidity and independence. She is afraid of exposing her true self, let people hurt her in the process. She is a true romantic and secretly yearns for a person who will love her, cuddle her, hug her and make her feel loved and protected. Biography: Kitana was born on the 7th of March, 2133, in Miami, Florida. Seeing Mileena train martial arts like kung-fu, karate and judo, Kitana soon felt a burning passion to try it as well. And so, at the age of 7, she was put in the same dojo as Mileena, and, with weekday lessons and a little help from her older sister, she earned a black belt, aged 13. Along with Mileena, she was interested in Jurassic Fight Club and joined in 2151. Unlike Mileena, she was rather interested in training dogs and other canines, rather than dangerous big cats.